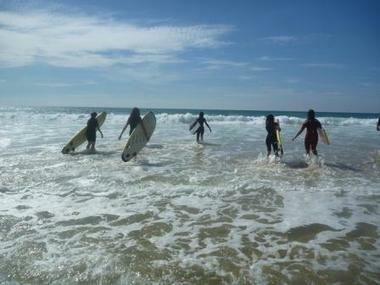 Surfing away from all commotion. 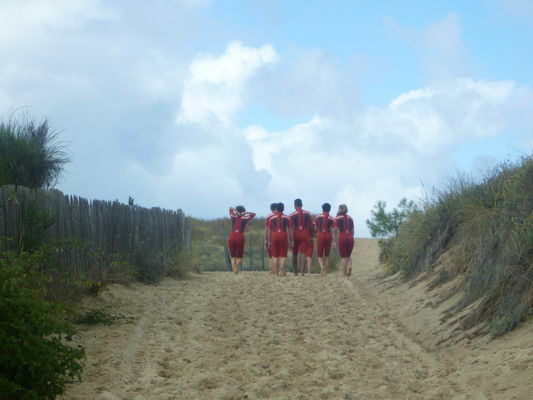 We bring you surf on the south beach of Lacanau, reached by a sandy path in the shade of pine trees. Waves of nothing for you, away from the population. In a preserved, we welcome you 7 days on 7 July to August and reservation outside the summer period. 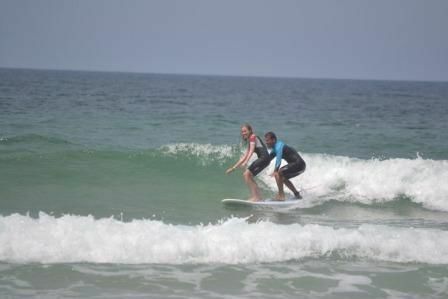 We practice surfing, bodysurfing, bodyboarding, tandem and stand-up paddle depending on conditions, possibilities and each desires. The courses are suitable for all levels through a personalized teaching approach. Raised in Tahiti, the ocean is the universe of Paolo GUIDI, 38 nautical practice, state certificate in surfing and swimming. 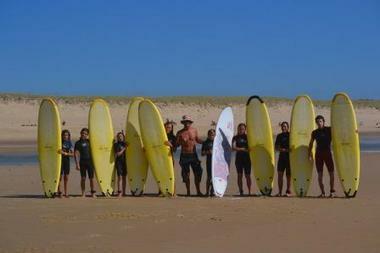 He and his qualified instructors, offer you a special time to relax in a beautiful landscape. The team also specializes in aquatic taken images and graphics for you to leave with a souvenir and keep dreaming of that great moment.